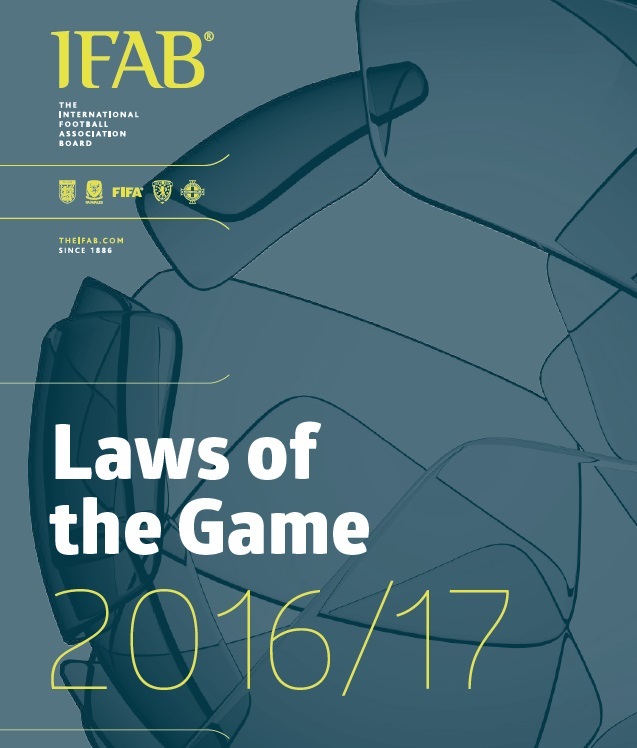 Created from contributions by current and former FIFA Referees, and USSF National & State, Referees, Instructors, and Assessors. We are committed to providing each and every soccer referee the opportunity to become the best officials they can be. 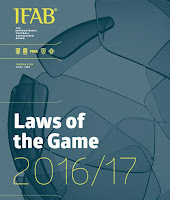 Misconduct against referees may occur before, during and after the match, including travel to or from the match. Misconduct may occur also at later times when directly related to duties of a game official as a referee. (A) This policy shall supersede any inconsistent rules of Organization Members that pertain to assaults or abuse upon Federation referees, assistant referees, the manner and means of hearings, appeals, and rehearings in matters pertaining thereto. (B) Nothing in this policy rule shall be construed to restrict or limit any league, event/tournament or Organization Member from applying equal or greater restrictions to anyone not listed in section 4(a)(1) of this policy (i.e., a spectator associated with a club or team). (C) This policy shall not apply to players, coaches, managers, club officials, or league officials while participating in Professional League Member activities. (a) all currently registered USSF referees, assistant referees, fourth officials or others duly appointed to assist in officiating in a match. (b) any non-licensed, non-registered person serving in an emergency capacity as a referee (under Rule 3040). (c) any club assistant referee. (2) “Hearing” means a meeting of at least three neutral members, one of whom is designated or elected to serve as chairperson. The hearing shall be conducted pursuant to guidelines established by the Organization Member. (3) (a) (i) Referee assault is an intentional act of physical violence at or upon a referee. (ii) For purposes of this policy, “intentional act” shall mean an act intended to bring about a result which will invade the interests of another in a way that is socially unacceptable. Unintended consequences of the act are irrelevant. (b) Assault includes, but is not limited to the following acts committed upon a referee: hitting, kicking, punching, choking, spitting on, grabbing or bodily running into a referee; head butting; the act of kicking or throwing any object at a referee that could inflict injury; damaging the referee’s uniform or personal property, i.e. car, equipment, etc. (4) (a) Referee abuse is a verbal statement or physical act not resulting in bodily contact which implies or threatens physical harm to a referee or the referee’s property or equipment. (b) Abuse includes, but is not limited to the following acts committed upon a referee: using foul or abusive language toward a referee that implies or threatens physical harm; spewing any beverage on a referee’s personal property; or spitting at (but not on) the referee. period provided by subsection (B)(3) of this section. If the Member does not adjudicate the matter within that period of time, original jurisdiction shall immediately vest in the Federation’s Appeals Committee to adjudicate the matter, to which the same provisions as to the term of suspension shall apply. (4) Failure to hold the initial hearing shall not rescind the automatic suspension. (1) In the event an assault or abuse of a referee occurs in an event outside the alleged offender’s home state, the referee shall (A) immediately notify the Event/Tournament Chairperson, and (B) forward a copy of the game report and his/her comments on the incident to the Event/Tournament Chairman. (2) The Event/Tournament Chairperson shall have the right to immediately convene a hearing at the site of the Event/Tournament, at which the alleged offender, the coach of the alleged offender when the offender is a player and the game official should be present. Information presented at this hearing shall promptly be relayed to the alleged offender’s Organization Member President by the Event/Tournament Chairperson, both orally and in writing; however, failure to provide written information shall not restrict the offender’s home Organization Member from taking action with regard to any referee abuse or assault. (3) Final jurisdiction shall vest with the alleged offender’s home Organization Member. A hearing shall be held by that Organization Member within thirty (30) days of the receipt of the initial report of the abuse or assault on a referee. (a) for a minor or slight touching of the referee or the referee's uniform or personal property, at least 3 months from the time of the assault; (b) except as provided in clause (i) or (ii), for any other assault, at least 6 months from the time of the assault: (i) for an assault committed by an adult and the referee is 17 years of age or younger, at least 3 years; or (ii) for an assault when serious injuries are inflicted, at least 5 years. (2) A State Association adjudicating the matter may not provide shorter period of suspension but, if circumstances warrant, may provide a longer period of suspension. The minimum suspension period for referee abuse shall be at least three (3) scheduled matches within the rules of that competition. The Organization Member adjudicating the matter may provide a longer period of suspension when circumstances warrant (e.g., habitual offenders). A person who is found to have committed abuse and/or assault may appeal to the Appeals Committee by following the procedures of Federation Bylaw 705 within ten (10) days from receipt of the decision of the Organization Member. (A) Procedures for reporting of referee assault and/or abuse shall be developed and disseminated by the National Referee Committee to all Federation registered referees. (B) Referees shall transmit a written report of the alleged assault or abuse, or both, within 48 hours of the incident (unless there is a valid reason for later reporting) to the designee of the Organization Member and the State Referee Administrator. For tournaments or special events, the referee shall transmit a written report to the tournament director on the day of the incident and to his home state SRA within 10 days of the incident. Share your weekend experiences with other local officials and get answers to Laws of the Game and practical refereeing questions, every Monday* from 7:00pm to 9:00pm. • ‘clearly attempts’ – this wording is designed to prevent a player who runs towards the ball from quite a long distance being penalized (unless he gets close to the ball). • ‘close’ is important so that a player is not penalized when the ball goes clearly over his head or clearly in front of him. Thank you for your attention and please feel free to contact us should you have any questions or inquiries. "Interfering with play" and "Gaining an advantage from that position" are both out. What's left? "Interfering with an opponent", so let's break it down. Did the player in the offside position, ‘clearly attempts’ to play the ball? 'Clearly attempts' – this wording is designed to prevent a player who runs towards the ball from quite a long distance being penalized (unless he gets close to the ball). YES. Finally, did he impacted the opponent's ability or potential ability to play the ball? ‘impact’ applies to an opponent’s ability (or potential) to play the ball and will include situations where an opponent’s movement to play the ball is delayed, hindered or prevented by the offside player. I CAN'T TELL WITHOUT A DOUBT. Offside, for interfering with an opponent. Red #10 in an offside position made a clear action within playing distance which impacted the ability of the goalkeeper to play the ball. This is a tricky play and to get it right you need to break it down into manageable chunks! White #9 was in an offside position when White #7 took a shot on goal. Blue #14 made a goal-line "save". After the "save" White #9 challenges Blue #4 for the ball but he is unsuccessful. "Gaining an advantage by being in that position" is out. Why? “gaining an advantage by being in that position” means playing a ball i. that rebounds or is deflected to him off the goalpost, crossbar or an opponent having been in an offside position ii. that rebounds, is deflected or is played to him from a deliberate save by an opponent having been in an offside position. In this play White #9 did not touch the ball. White # 9 from an offside position clearly attempts to play a ball which is close to him, this 'obvious action' clearly impacts on the ability of the opponent to play the ball. Decision: OFFSIDE "interfering with an opponent". Questions? email RichardRodriguez@USSF.info. Awesome Inc. theme. Powered by Blogger.